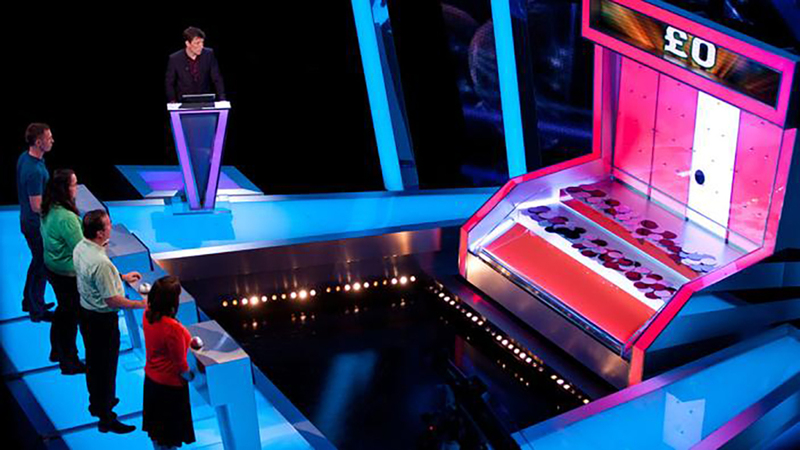 Contestants must answer questions to win turns on an arcade-style machine that releases tokens worth thousands of pounds. Dropping the tokens down a choice of four shoots, they hope to knock piles of them off a moving shelf - and the more they collect, the greater the prize fund. The player who has won the least amount of money is then eliminated, and this continues round by round, until only one player remains. When only one player is remaining, the player is given a special coin which is dropped into the machine. The aim is to get the coin back out of the machine in order to win £10,000. Any coins which drop in the process of trying to get the special coin out are counted, as before, as £50 apiece and should the player not manage to remove the special coin, they will be able to choose whether to keep the money they have accumulated or gamble in order to try three more times to remove the special coin, to win the £10,000 jackpot. 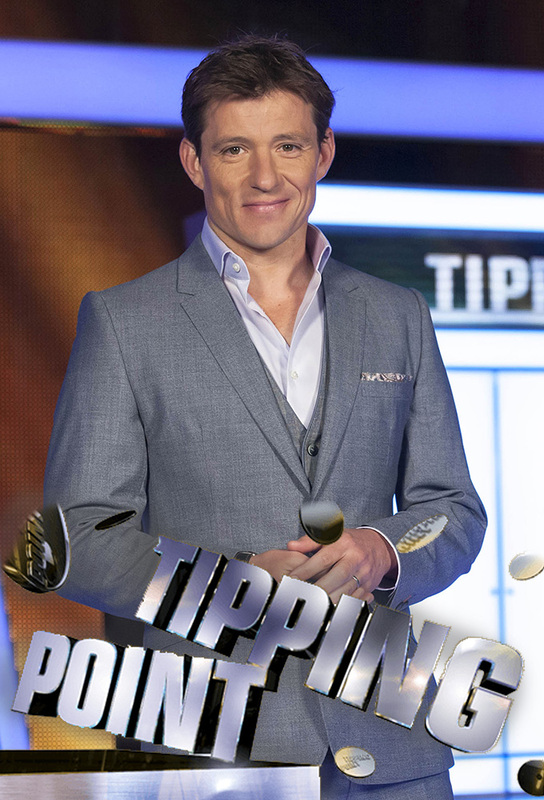 Track and react with millions of Tipping Point fans just like you on TV Time.